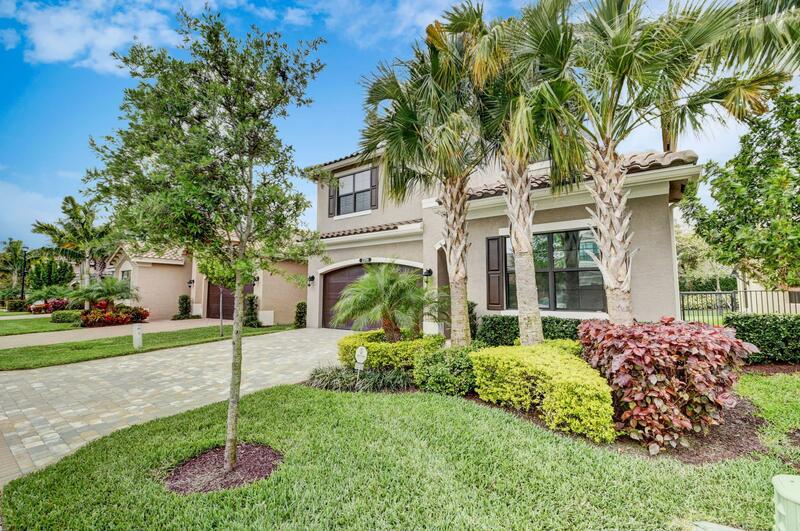 All Tuscany North homes currently listed for sale in Delray Beach as of 04/21/2019 are shown below. You can change the search criteria at any time by pressing the 'Change Search' button below. "ABSOLUTE MUST SEE. IMMACULATE CUSTOMIZED SIENNA MODEL IN THE EXCLUSIVE COMMUNITY OF TUSCANY NORTH. PROFESSIONALLY DECORATED WITH IMPRESSIVE DETAILS. THIS 2 STORY HOME IS A PERFECT LAYOUT FOR A LARGE FAMILY AND YOUR GUESTS. 24'' STONE LIKE TILES THROUGHOUT LIVING AREAS. THE GOURMET CHEF KITCHEN WITH LARGE ISLAND AND BAR AREA FLOWS INTO THE GRAND FAMILY ROOM. PREMIUM GRANITE COUNTERTOPS WITH UNDERMOUNT SINK AND PENDANT LIGHTING. WOOD STAIRCASE WITH CUSTOM METAL RAILING LEADS TO THE SPACIOUS LOFT. WOOD PLANK FLOORING THROUGHOUT SECOND LEVEL. SPACIOUS MASTER SUITE WITH COFFERED CEILING. CUSTOM WALK IN CLOSET CRAFTED IN ITALY. GRACIOUS BATHROOM SUITE WITH SUNKEN TUB AND DUAL SINKS. OVERSIZED WALK IN SHOWER. 2 OTHER LARGE BEDROOMS AND A 3RD BATHROOM COMPLETE SECOND FLOOR."